Osteotomy is an operation which changes the alignment of the lower limb. This is most commonly done for osteoarthritis that is localized to one area of the joint. Depending on the compartment of the knee affected, a controlled fracture is created either in the tibia just below the knee joint or in the femur above the knee joint. The alignment of the knee can thus be altered and the weight bearing stress is transferred from the worn part of the knee to the less worn area. The main goal of osteotomy is to change alignment, in order to decrease the pain associated with arthritis and thereby improve function, as well as slow the progression of arthritis. It is usually done for patients who are younger and more active than those requiring knee replacement. The change in leg alignment affects the cosmetic appearance of the leg and makes it less attractive for female patients. The surgical procedure involves cutting the tibia just below the joint line thus opening a gap to insert a wedge of bone and change the leg alignment. The size of the wedge used is determined on preoperative and intraoperative X-rays. The bone used is either from the patient’s pelvis, cadaveric bone or synthetic bone graft. Dr. Stoita’s preference is for use of pelvic bone graft as this provides the most favourable environment for healing. These options will be discussed with you at length. The position achieved is then held with the use of plates and screws. After your realignment surgery in Sydney a brace will be applied and patients will not be allowed to weight bear for a minimum of 6 weeks. As healing progresses patients will be allowed to gradually increase the weight on the leg. Healing will be assessed with sequential X-rays. As this procedure is done in younger patients who are likely to be in the active workforce, is important to realize that it will take approximately 4 months until physical work can be resumed. In well-selected patients, this procedure provides good pain relief and improvement in function. Unfortunately arthritis is not curable and this surgery aims to decrease the rate of progression of arthritis and delay the need for a knee replacement. For over 70% of patients the improvement in symptoms and function lasts for 10 years or more. 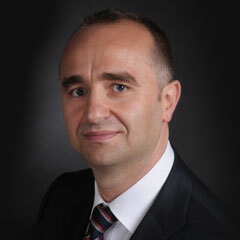 Dr Razvan Stoita is a knee specialist who will asses your situation and offer you your best treatment options.